NEWS - Site de garance-coggins ! 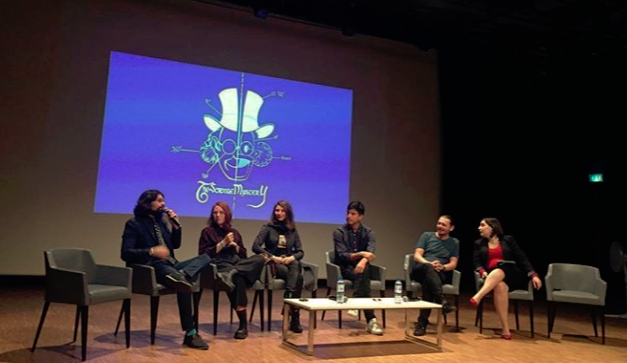 The Scrooge Mystery Masterclass in ComicCon Paris! I've had the great pleasure to be part of the Masterclass given by the artistic team of The Scrooge Mystery project. It took place last Sunday at ComicCon Paris and we got to talk about behind-the-scenes moments and our love for Uncle Scrooge with Don Rosa fans! A friend asked me to illustrate some of Tolkien’s short stories. What I read was so beautiful that I spent more and more time on each of the 3 drawings I produced. Didn’t want to get out of his universe :) I don’t know how Tolkien mastered such craft: overwhelming his reader with emotions and poetry in stories that can be read in less than an hour and a half.